Book reservations at the University Guest House. If you are a speaker or poster presenter, you will not be charged for reservations, but you must make them through this website directly. For everyone else, lodging is $115 per night (up to 3 nights). If you are not a speaker or poster presenter, please contact the Guest House to reserve a room through them directly: http://www.universityguesthouse.com/. To get the special rate, please tell the guest house that you are with BIAS IN CONTEXT. Reservations must be made by September 24th or the special rate will not be valid. Submit registration and accommodations request. Register for conference lunches on Thursday and Friday. If you are a speaker or poster presenter or session chair or are affiliated with the University of Utah (student, faculty, or staff), you will not be charged for lunches, but you still must place an order. Attendees outside the University of Utah must pay for their lunches. Vegetarian, vegan, and gluten free options are available. Lunches are catered by Caputos. Register for Thursday night dinner. If you are a speaker or poster presenter or session chair, you are guaranteed a place at Thursday night dinner, but you still need to register. While other attendees are not guaranteed place, there are a limited number of slots available for Thursday night dinner available. Please let us know if you are interested in coming. We will notify you as soon as possible to let you know whether there is room. We hope to invite as many people as possible, but we are limited by venue constraints. Register for Friday night dinner. Friday night dinner is open to all, no charge. However, you must register in advance if you’d like to attend. 1. To reach the U of U campus from the Airport, take the Green Line to Court House and transfer to the Red Line to University. 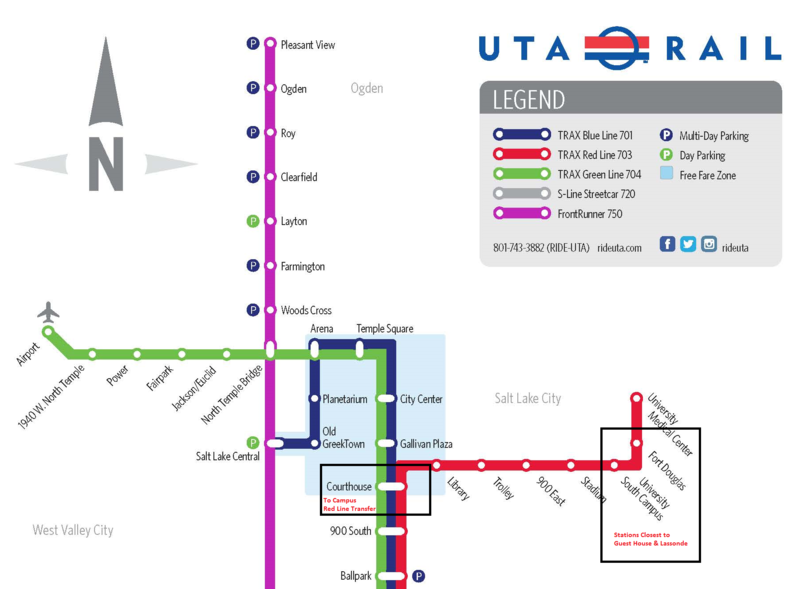 For a detailed map visit the UTA TRAX website. The one way fare to and from the airport is $2.50. 2. 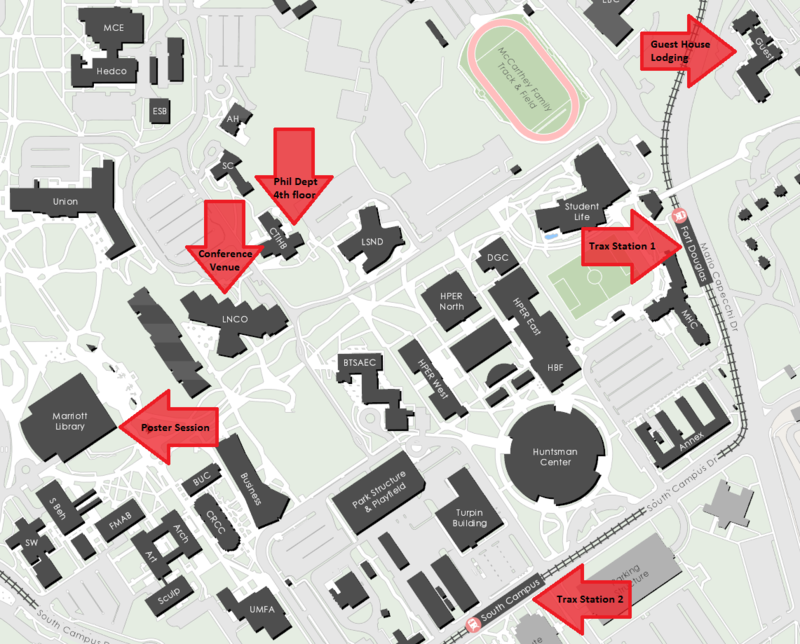 To reach the Airport from campus, take the Red Line to Court House and transfer to the Green Line to Airport. 215 So. Central Campus Dr.